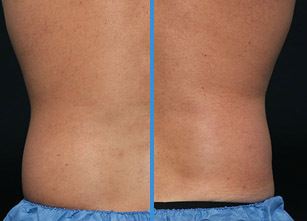 Introducing CoolSculpting® CoolAdvantage™ to the Southern Tier! The team at Dr. Mark Walker's office is excited to bring CoolAdvantage™ to Binghamton patients. 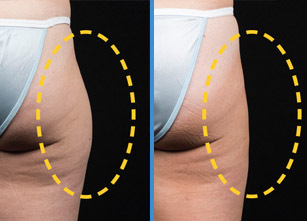 The new CoolAdvantage™ applicator delivers safe and efficacious results in just 35 minutes, shortening CoolSculpting® treatment time by nearly 50 percent! Our new CoolAdvantage™ applicator also has been found to increase comfortability and reduce bruising post-treatment. Fill out the form on this page or call our office today to schedule your CoolAdvantage™ treatment. After you and Dr. Walker select the area(s) to be treated, the CoolSculpting device is positioned on your body and controlled cooling is applied. During your procedure, feel free to read, check email, or even take a nap. The CoolSculpting fat freezing procedure is completely non-surgical, so you can typically return to normal activities immediately. The results are lasting and undeniable. Fill out the form on this page and we’ll contact you with more details on whether CoolSculpting is a good fit for you and your lifestyle. What are you waiting for? Contact us today to start sculpting a new you.